Stan Miner was one of those rarest of individuals, feared and yet both admired and respected by people of all ages in the community. It’s an enviable reputation considering Miner’s job for almost three decades was to enforce the law as a member of Parry Sound’s police department. Just wearing a uniform and carrying a badge does not automatically result in being held in high esteem, especially by children. George Ryder recalled how he and other boys frequently pulled jokes on night constable Jack Hudson, who quit police work in 1941 to become sanitary inspector and caretaker of the municipal office. One not-so-harmless prank involved stringing an ankle-high wire across a laneway off the main street. He was powerful. He was a powerful man. He was a boxer. Big hands. I thought my hands were big, but he had big hands. Everybody respected him. Like they wouldn’t fool around with him,” said Peter Kozluk, who retired from the West Parry Sound OPP detachment in May 1998. Kozluk recalled that Miner showed him around town when he was hired as a probationary constable with Parry Sound’s municipal police department in June 1971. When hired as a constable in August 1944, Miner was already a married 41-year-old father of three young sons. He grew up on a farm on the Shebeshekong River in Carling Township and had been employed at Defence Industries Limited at Nobel, which produced cordite for the Allied war effort until its abrupt closure well before D-Day. Over the first six weeks of 1944, the Selective Service guided the transfer of almost 2,000 workers to other employers such as Inco in Sudbury, Victory Aircraft at Malton, Massey-Harris in Toronto, International Harvester in Hamilton and the McFadden Lumber Company in Blind River. When DIL closed, Miner decided to stay put in Parry Sound and search for work locally. Obviously, policing was a whole lot different in Parry Sound when Miner worked under Chief George Doolittle, who had already retired on a full pension after more than 30 years with the police in Toronto and was starting a new career as a small-town cop. In March 1946, Parry Sound council followed a recommendation from Chief Doolittle that the police department be increased from three to four members and Miner be promoted to sergeant. A year earlier the municipality, the Legion, the Lions and the Rotary Club had together purchased a used Royal Canadian Air Force ambulance from the War Assets Corporation. As off-duty police officers were required to drive the ambulance, it made more sense to council to add a man than to continue to pay overtime. Perhaps the toughest challenge facing the police in those days was juvenile delinquency, kids getting into trouble because they had nothing better to do. Several local businessmen got together in the summer of 1943 to organize a Royal Canadian Air Cadets squadron in Parry Sound under the command of Bank of Commerce manager J.C. Macpherson. Recruiting began in the fall and by the end of the year there were more than 60 members. In the spring of 1944, council reintroduced a curfew that required boys and girls under 16 to be home by 9 p.m. during the summer and 8 p.m. during the rest of the year. Sgt. Miner had his own ideas about how to keep teenage boys on the straight and narrow. He got a boxing ring set up at the town’s brand new arena in the fall of 1949 and began to teach the fine art of fisticuffs to a group that included Cliff Beagan and brother Bill. In the summer of 1950 young fighters from Barrie and Toronto travelled to Parry Sound for boxing matches. In the main bout, Ross Gibbons of Parry Sound took the decision over Doug Peacock of Barrie, apparently one of the finest Canadian amateur boxers in the province at that time. Miner had spent five years travelling around Ohio and Wisconsin with a group of boxers, fighting wherever their manager could arrange a bout. He was paid $10 a round for fights that usually lasted four to six rounds. When he returned to Parry Sound in 1930, Miner continued to work out and train with a group of local fellows, at first outside at the east end of Jukes Lane, and then in an old driving shed behind Charlie Thompson’s Mansion House. In September 1935, locals had a chance to see Miner, known as the “Parry Sound Flash,” in action at the old curling rink on Gibson Street when he took on Toronto boxer Norman “Young” Hurdman, who by then had already fought several times at Maple Leaf Gardens. Miner, who the North Star said had an advantage in weight and reach, won the five-round bout on points, but had to bow out of a second fight scheduled in October because of injuries suffered while battling Hurdman. In 1959, Miner and arena manager Bill Bradbeer set out to organize a boxing club to put on shows during the summer. That August the local boys won seven of eight bouts against fighters visiting from the Galt Boxing Club and then won all eight when they travelled down to Galt a few weeks later. The Parry Sound group included Duncan Pegahmagabow and Les Tabobondung, a gifted athlete who two years earlier had been invited to try out for the Chicago Black Hawks. One of those boys Stan Miner helped was Tom Winters, who went on to own a successful plumbing business in Stouffville and has devoted himself to assisting others as a longtime member of the local Lions club, rising to A-16 district governor. Next, the sergeant took the boy to his house on Cascade Street, where he gave him a bicycle that had belonged to one of his own sons. Then he took young Winters to the North Star and got him a paper route. “The deal was he gave me the bike on credit and I got the paper route… I forget the exact financing terms. I had to check in with him on a regular basis. I was on probation. I just didn’t know it. But I got my paper route and I got to be darn good at, selling papers. I had to check in with him and I had to pay for the bike because it wasn’t like owing $20 to just anybody on the street. 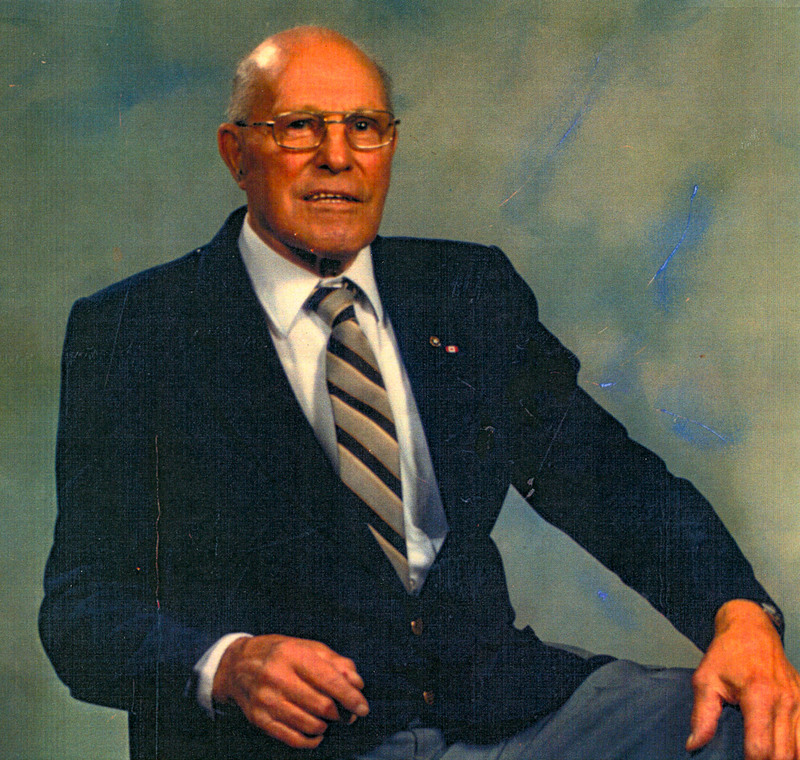 Winters said that he left Parry Sound in 1959, when he was 13 years old, and has never returned to his childhood home. Miner had a more definite impact on the life of,Jimmy Mills. In the spring of 1955, he rescued the 16-year-old from the Seguin River. The sergeant was on the west side of the Seguin River when he saw Mills running around naked behind the Texaco Oil Co. warehouse on the opposite side. If there was ever a time that Miner met his match, it was in December 1962 when he was escorting a prisoner believed to be mentally deranged on a train to Toronto. During the trip, the man began to annoy an elderly lady and when Miner restrained him, a struggle ensued and the man bit him. It took four minutes for Miner, aided by two passengers, to pry the man’s mouth open and release a finger on his right hand. Bitten to the bone, and the bone itself splintered, the wound became infected and Miner nearly had to have the finger amputated. Still able to laugh after the incident, Miner told the North Star he’d much rather jump into the icy waters of the Seguin River again than have another bitten finger. Stan Miner retired from the police department as of July 1, 1971, but continued to work out with a speed bag into his 80s. He demonstrated to North Star reporter Doug McKenzie in 1983 that he was still able to handle the intricate precision hand and elbow movements required to keep the bag in motion. He passed away on Christmas Eve in 1991 in his 89th year. This entry was posted in Winter, Winter 2011. Bookmark the permalink.